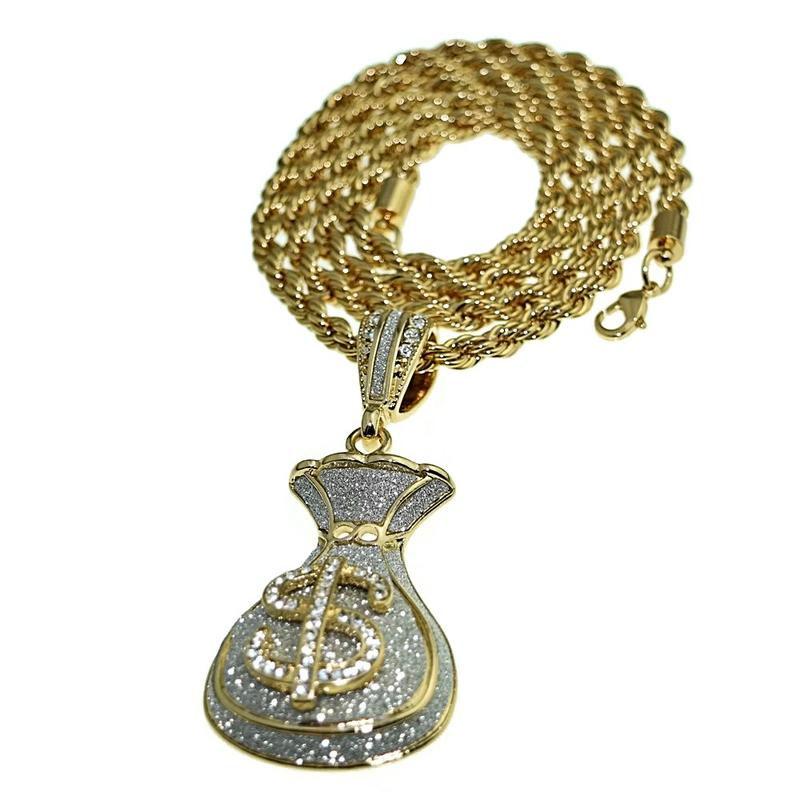 Money bag charm pendant on a 30" long x 5 mm wide twisted rope hip hop chain necklace for men. 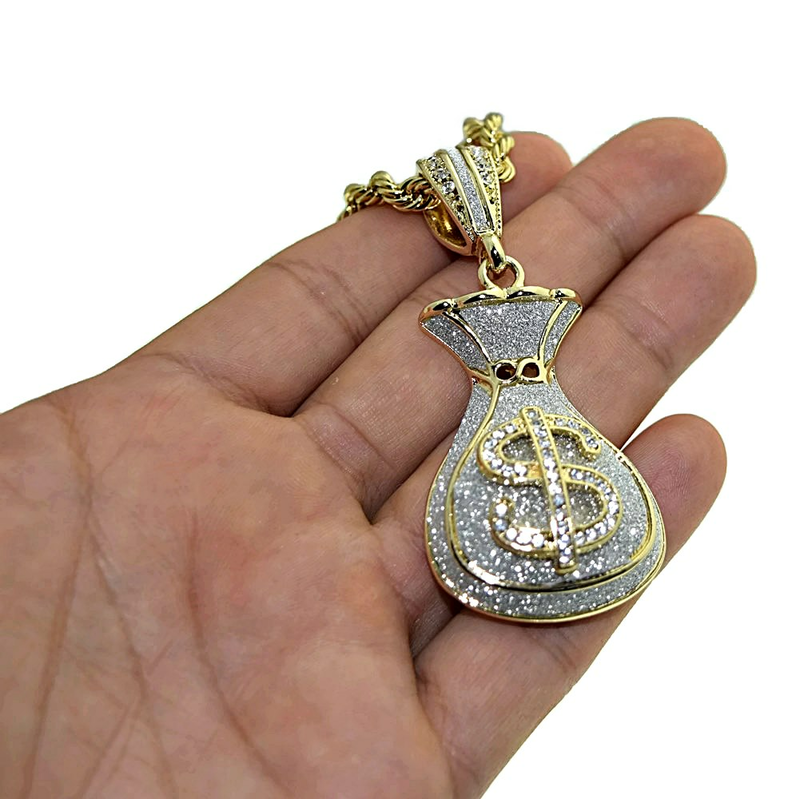 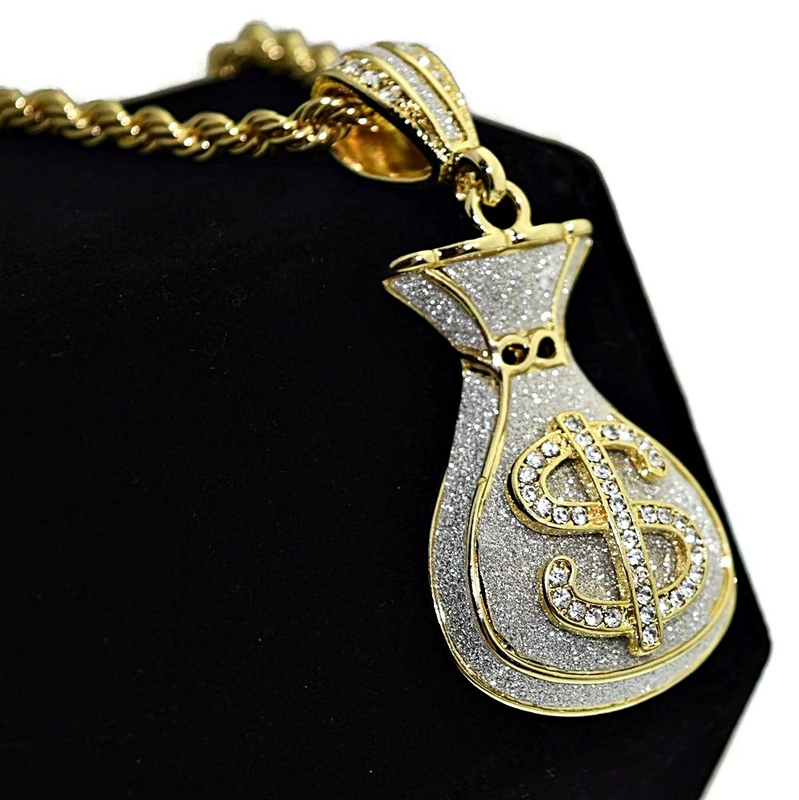 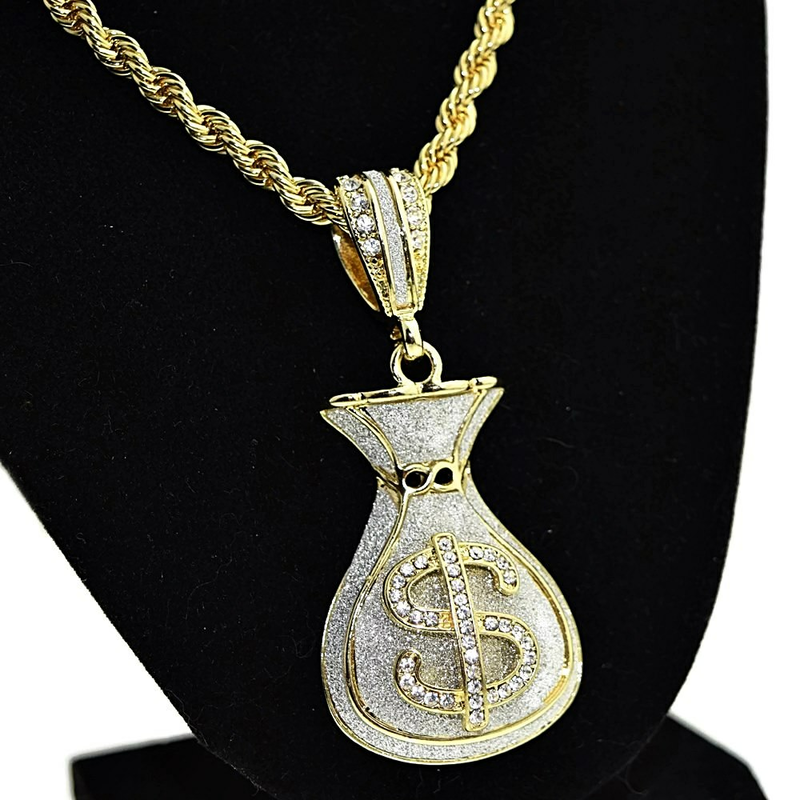 Features an iced-out dollar sign sand blast bling money bag hip hop pendant. 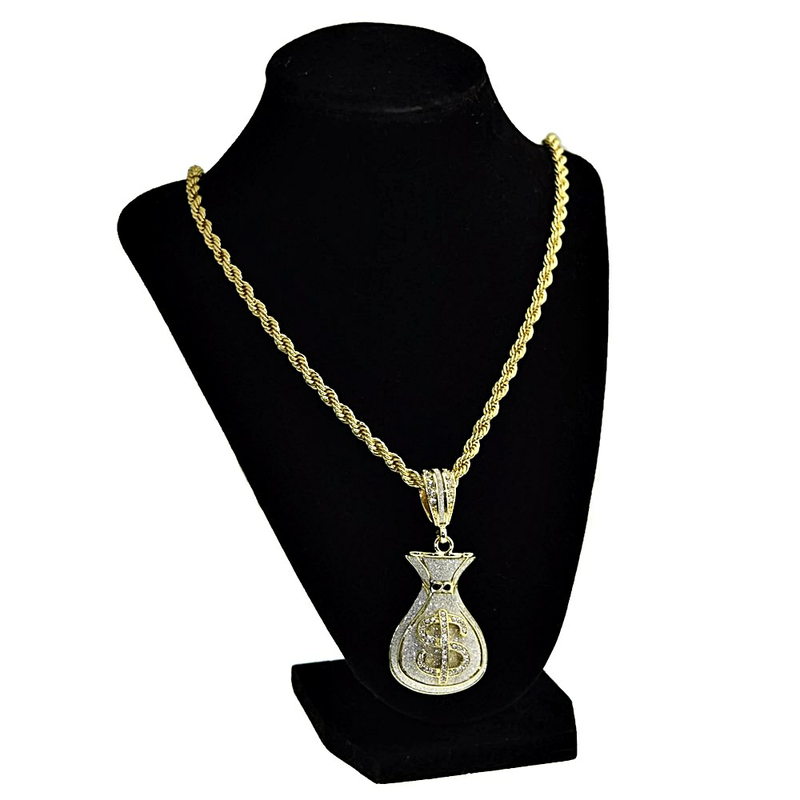 Gold tone rope necklace is 30" long x 5mm wide so your chain can hang low.